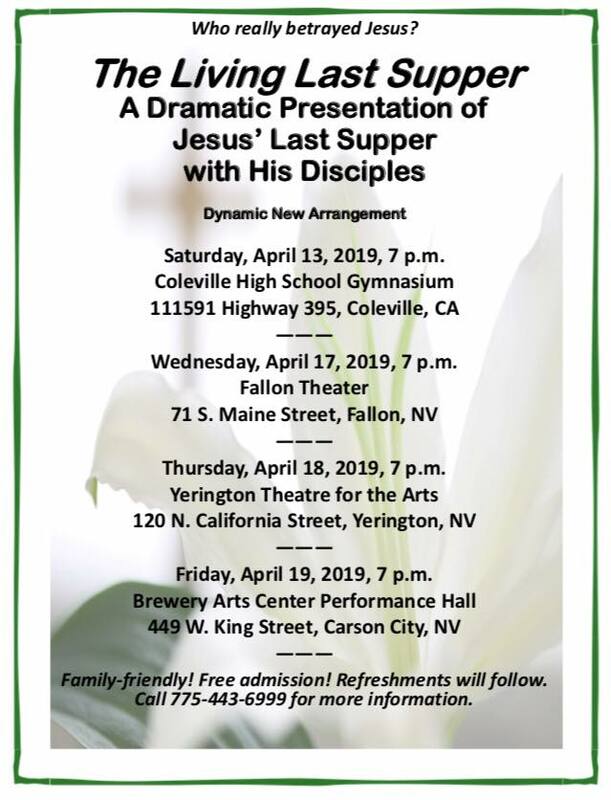 The Living Last Supper is a dramatic presentation of Jesus’ last supper with his disciples. Dynamic new arrangement! Call 775-443-6999 for more information. Sun: Closed – Happy Easter! Live Music – The Coaches! Sun: 2:00PM – Admission is free. 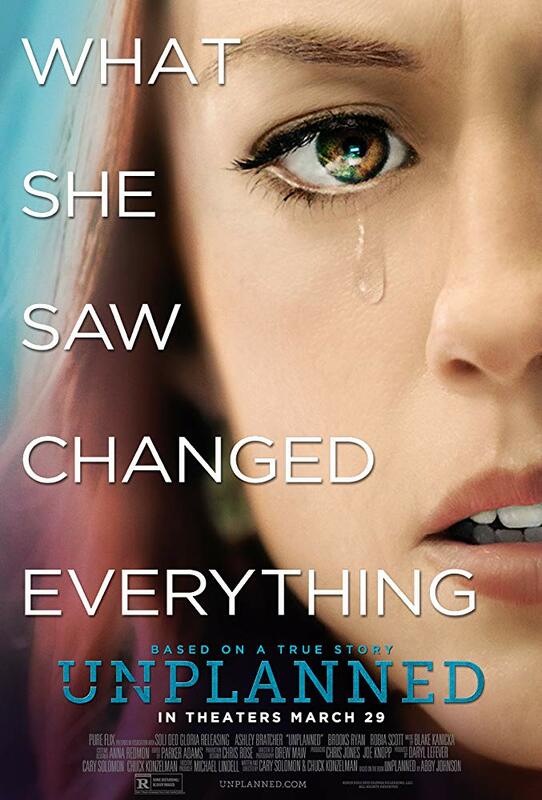 Mon: 6:00PM – Admission is free. ~Live Music – The Coaches! 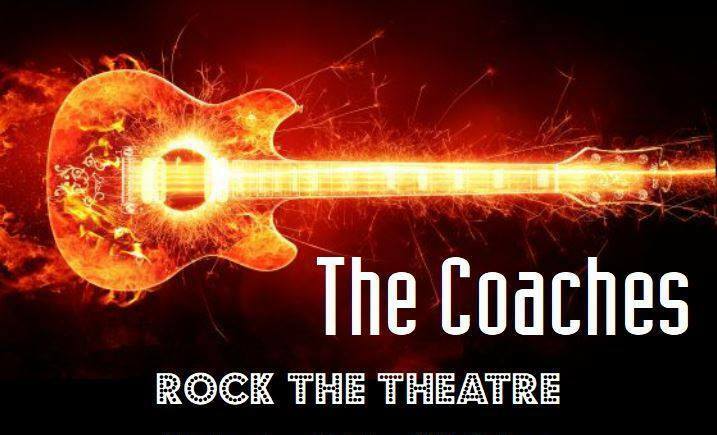 The Coaches return to Rock the Theatre again! Concessions will be open. Beer & wine will be available! The downtown Fallon Theatre welcomes volunteers to come help on two projects on Monday evening, April 8 any time after 4:00pm. We will be cleaning out the storage garage east of the theatre and we will also be painting under the overhang in front of the theatre. Everyone is welcome to stay after the work party to watch the final NCAA basketball game on the big screen! We’ll have the final BIG game up on the BIG screen! 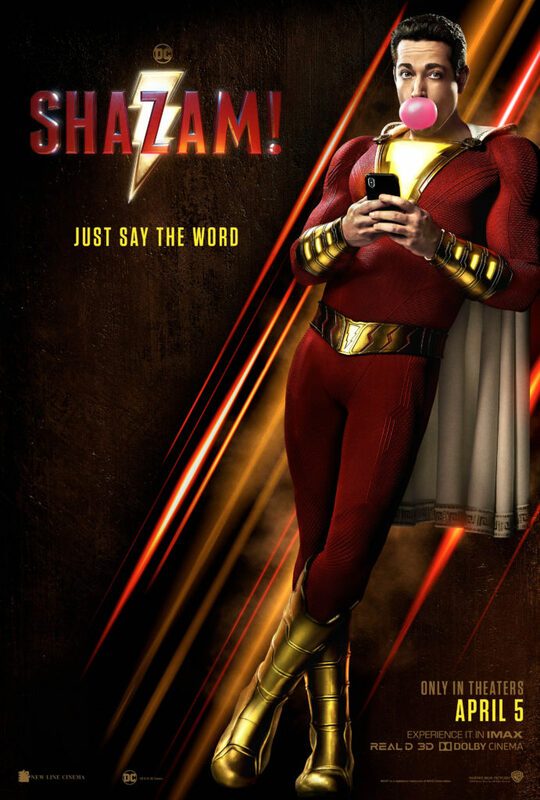 Watch with us! Come early to help with a few JustServe.org community service projects we’re planning to get done before the game! 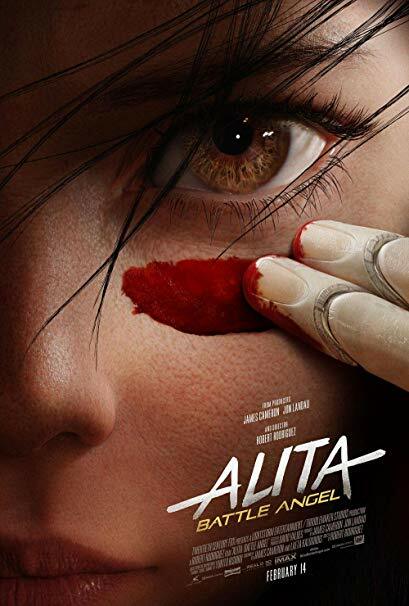 Alita: Battle Angel & Wonder Park! A deactivated female cyborg is revived, but cannot remember anything of her past life and goes on a quest to find out who she is. 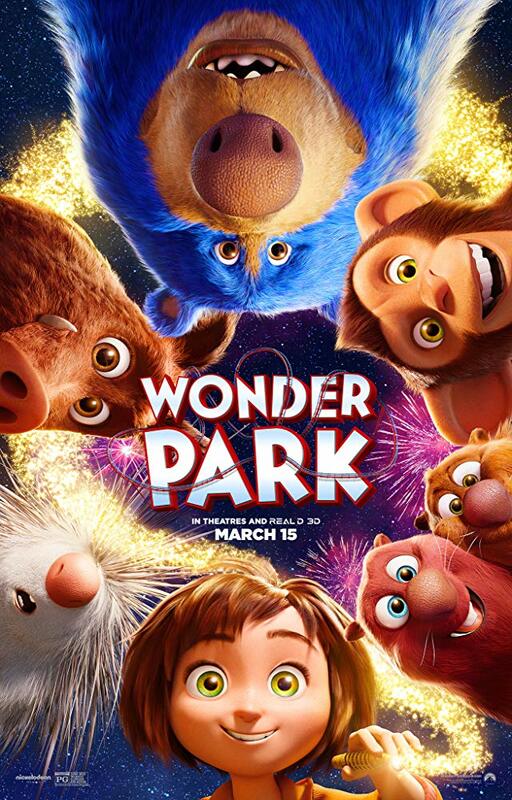 Wonder Park & How to Train Your Dragon: The Hidden World! Special fundraising event hosted by the AAUW, admission is $20! 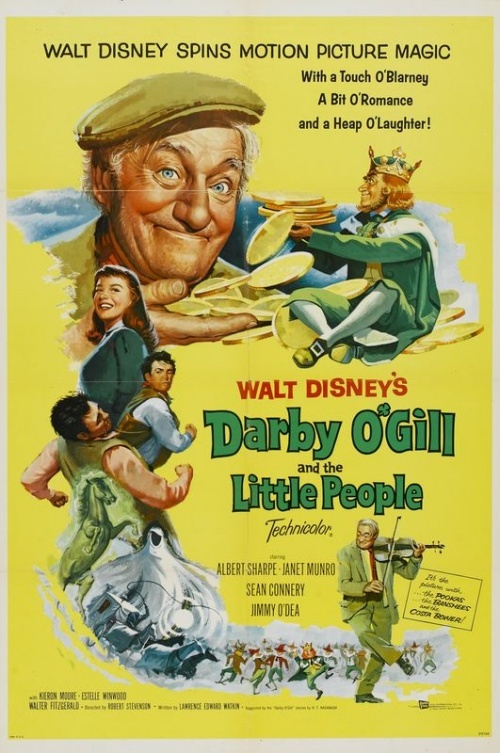 A wily old codger matches wits with the king of the leprechauns and helps play matchmaker for his daughter and the strapping lad who has replaced him as caretaker. 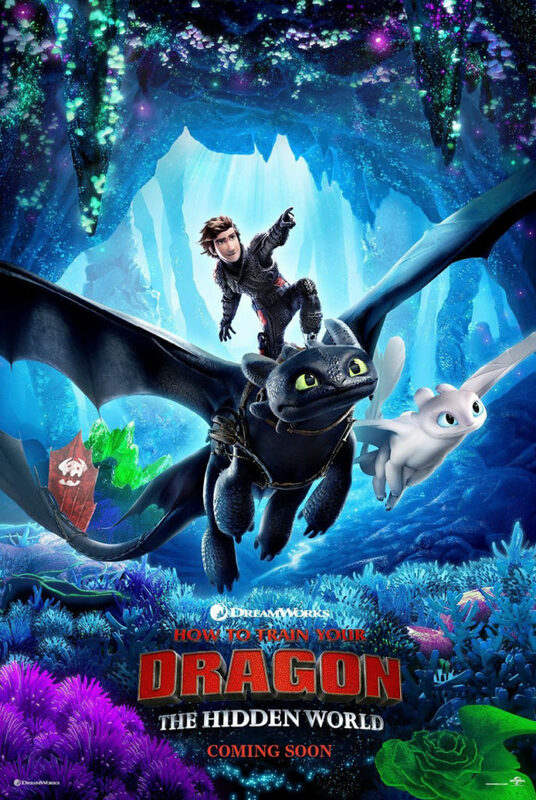 How to Train Your Dragon: The Hidden World & The Kid Who Would Be King! 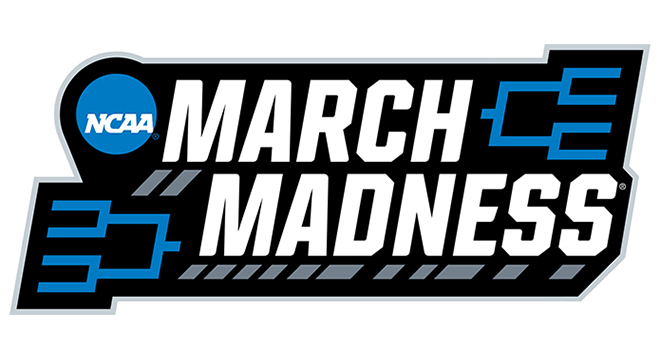 PLUS: March 2nd @ 5:30 – UNR vs Utah State Men’s Basketball! March 2nd @ 5:30 – UNR vs Utah State Men’s Basketball! 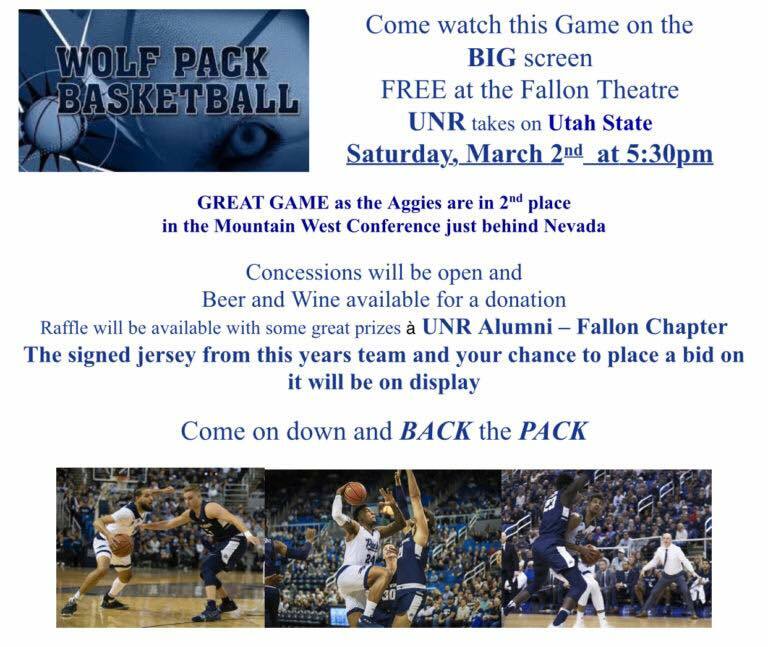 Come watch the game on the big screen FREE at the Fallon theatre as UNR men’s basketball takes on Utah State, Saturday, March 2nd at 5:30 p.m. The Aggies are in 2nd place in the Mountain West Conference just behind Nevada. Concessions will be open and beer and wine will be available for a donation. A raffle will be available with GREAT prizes to support the UNR Alumni — Fallon Chapter. 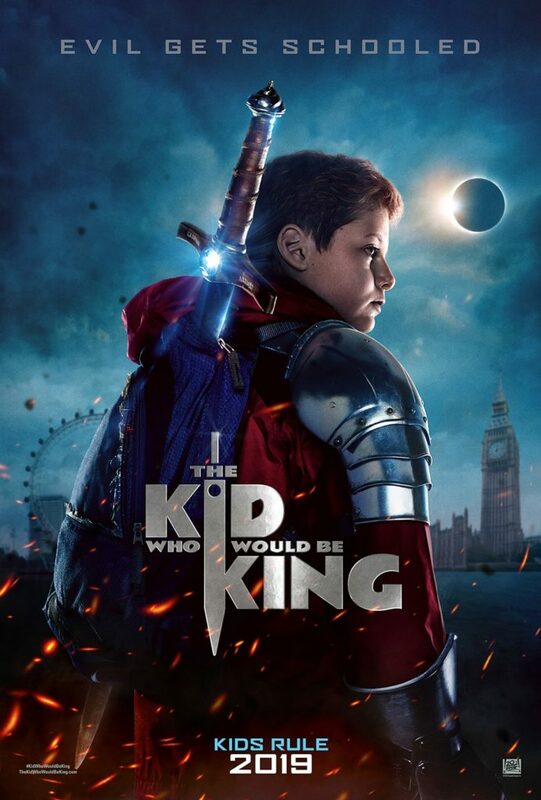 The Kid Who Would Be King and The Lego Movie 2: The Second Part. Eighteen snowstorms in 27 days hit the Rocky Mountain and upper Great Plains states in December 1948-January 1949. This epic tells the tale of how the US Air Force airdropped food and supplies to stranded travelers, residents and livestock. 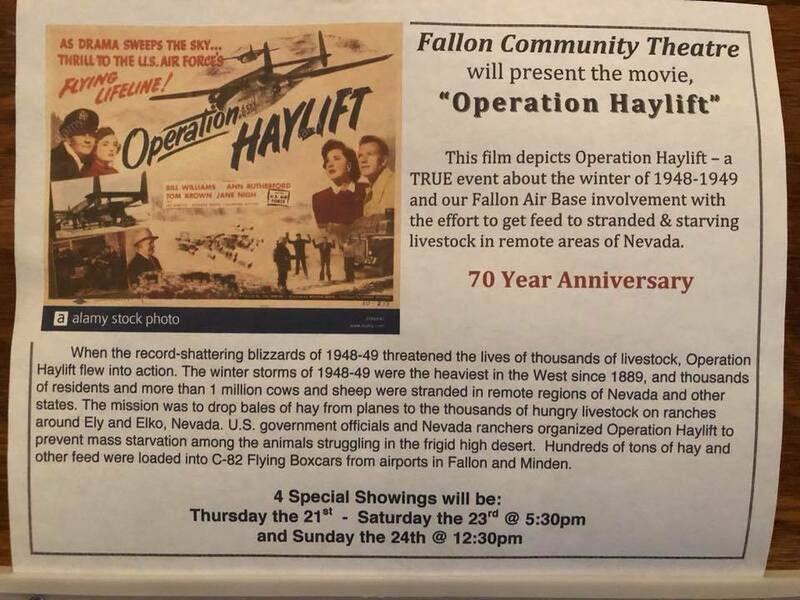 Filmed in Ely, NV with mentions of Fallon! 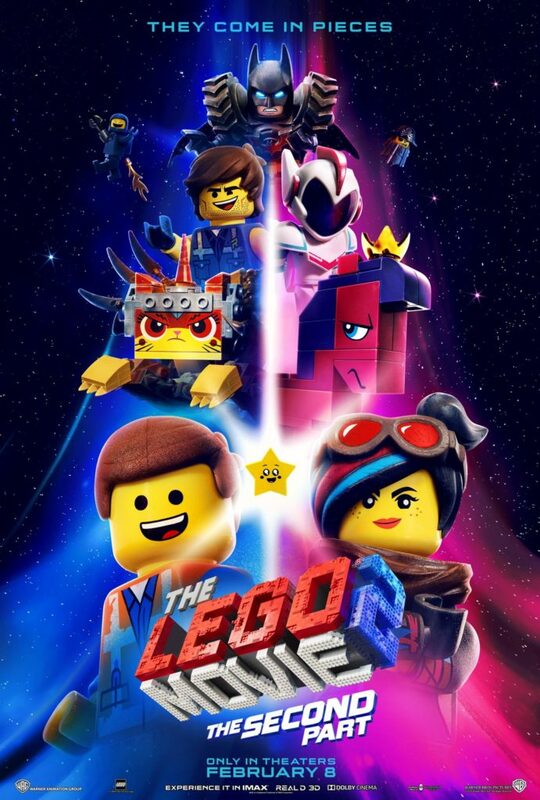 The Boy Who Would Be King and The Lego Movie 2: The Second Part. UPCOMING SPECIAL EVENT: Jetty Rae – Free Concert! Feb 14th! Jetty Rae – Free Concert! Friday, February 14th @ 7pm! 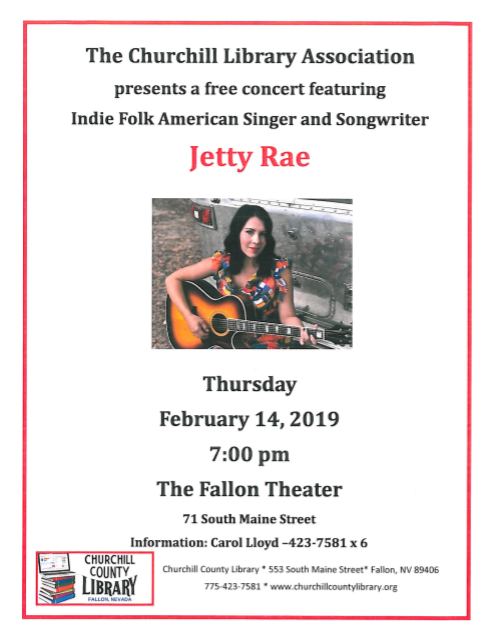 The Churchill County Library Association presents a FREE concert featuring Indie Folk American Singer and Songwriter Jetty Rae. Jetty Rae is a singer and songwriter originally from Northern Michigan. She has been singing, touring, and recording since 2004. She released her first full-length album, “Blackberries,” in 2007; her first EP, “Nobody,” in November 2009; and a lullaby album, “La La Lu and the Lazy Moon,” in July 2011. Her album “Drowning in Grain” was released in February 2012 (peaking at #130 on the CMJ 200 charts), “Climbing Clouds” in August of 2013, followed by a Christmas album “More Than December” in November of 2014. 2015 saw Jetty’s first collaborative project under the moniker “Pen Pals” with the release of the album “Gold”. Her album, “Can’t Curse the Free,” which was produced by Grammy Award Winning producer Mitch Dane, was released in 2017, followed by another Pen Pals album “I Disappear” that same year. Jetty garnered the attention of JetBlue when she played at the opening of their new Terminal at JFK International Airport. MTV.com interviewed Jetty for their “Needle In The Haystack” series, and her song “I Love You,” was selected as a free download and featured on their up-and-coming artist blog. Jetty Rae shared the stage with Sarah McLachlan and Miranda Lambert at Lilith Fair in Detroit where she was handpicked by Sarah McLachlan and Terry McBride as the featured local artist. You can also hear Jetty’s music in a number of TV commercials for brands such as Microsoft, PetCo, Truvia, Nabi Tablets, Ben & Jerry’s, the Southeastern Conference, and more.